A smooth-running troop is the dream of every Scoutmaster. Every Scout doing what he should do, youth leaders firmly in charge, and the senior patrol leader taking direction from the Scoutmaster and leading the other youth. Most troops don’t fit that image, however. Patrols seem to vary from adequately prepared to barely functioning. It can be frustrating for a Scoutmaster to not see the Scouts getting anything done. The same can apply to the troop committee. You see committee members not doing things the way you’d do them. You’re tempted to micromanage or just do things yourself. When this happens, it’s time to step back and understand the real aim and the best approach to let the process take its course, rather than trying to fret about the end result. The explanation of the process of Scouting being more important than the results has been discussed by Clarke Green and others. One of the reasons Scouting exists is so young people can learn by doing. If all uncertainty is taken away through tight control over how things get done, the result will be closer to the vision of an ideal campout or troop meeting, but the boys will be missing the learning experience. On the troop committee level, the point is indeed to get things done rather than providing a personal development experience for the committee members, but by agreeing on a vision of the desired end result and providing some basic instruction where necessary (such as how to use troop database software or navigate the online advancement system), committee members will learn not only how to do the job but find better ways to do it. When people participate in creating a plan, they have a deeper understanding of what’s needed and are more invested in its success. 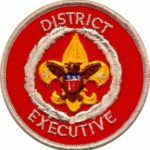 The Scoutmaster can give general advice to the senior patrol leader on how to involve the patrol leaders and the rest of the troop in planning an outing. When they do, not only do they learn the process but can point with pride to what they’ve accomplished. Taking the time to involve people can be frustrating when you already have strong ideas or are feeling urgency. Remember to have patience. How important is it really that you pack up the campsite and get out first thing Sunday morning? Sure, it’s annoying when the boys don’t break camp and clean up as efficiently as the adults, but it’s their troop, not yours, and they’re learning. Trust your people. Have the courage to ask, listen, and let go of control. It takes a leap of faith to think that a 15-year-old can lead a troop, but he can – if you can trust him and give him the training he needs to lead. The same applies to the committee – you must let go of control in order to give your people permission to succeed. Whether you’re a direct leader responsible for guiding youth, or a committee member in charge of administration, think of ways that you can elevate the process to help others better learn their roles, and be patient as they do. It is too bad every adult leader is not willing to trust the scout leadership to carry out the mission of the troop. There are too many “A” type adult leaders that believe it is there way or the highway.